Grants – Chesapeake Chapter U.S.L.H.S. 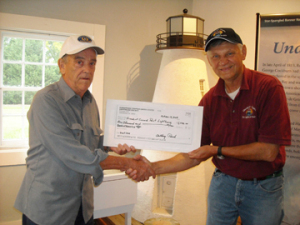 A $1,000.00 grant award was presented to the Point Lookout Lighthouse Preservation Society in 2010. 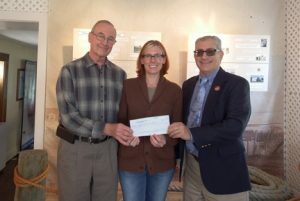 Photo: Then Chapter President Robert Holland (center) presents check to (from left: Dustin Rusk, Sandra Sableski, Robert Hall and Barbara Loukota of the Point Lookout Lighthouse Preservation Society. Photo by Joyce Holland. 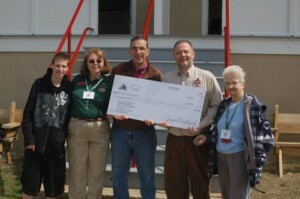 A $1,000.00 grant award was presented to the Delaware River and Bay Lighthouse Foundation in 2011. 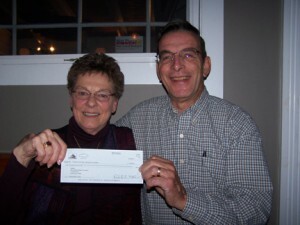 Photo: Then Chapter President Robert Holland (right) presents check to Delaware River and Bay Lighthouse Foundation President Judith Roales. Photo by Sandra Sableski. 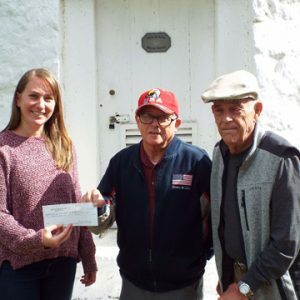 A $1,000.00 grant award was presented to the Historical Place Preservation, Inc. (which manages the Craighill Channel Lower Range Front Light Station) in 2012.